Top Rated. 5-Stars. Serving Fort, Worth with Professional Moving to or from Coeur d'Alene. Call Today. Free Quotes! Personalized, Five Star Service. Ready to get a quote on your Forth Worth to Coeur d'Alene, ID moving?. We are locally based in the beautiful North Idaho Panhandle in downtown Coeur d'Alene. 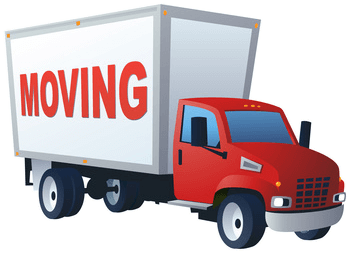 We are knowledgeable and equipped to complete your long distance move from the Fort Worth area. Call or text (208) 770-0845 for a free quote today. Deciding between a locally based company vs a large national moving company (called a van line) can be confusing. Many times these van lines subcontract private owner operator truck drivers who then show up on moving day with cheap laborers (not professional movers) who are often paid under the table and maybe even found at the last minute from a Craigslist ad. They're not background checked. They might not be the kind of people you want in your home. It's one reason that a lot of people have had items broken, lost, or even stolen when going with a national moving company. There are many other horror stories as well such as the repeating fact that these national movers will give a low ball quote based on estimated weight. Then on moving day they go to the truck scale and come back with a weight ticket and tell you what your moving estimator already knew all along but never said it when he gave you your quote. Your load is hundreds of pounds heavier than estimated and now your price just jumped by $2,000 or more for example. There's nothing you can do about it. The truck is fully loaded with your belongings. You are another victim in a long list of slick salesman who give low ball quotes to win your business and then overcharge you by hundreds or thousands of dollars on moving day. This is a common scheme the national moving companies use to win business and then get a lot more money for your move. We don't charge that way, we charge by mile and loading / unloading hours and not by the weight of a load. That means you can trust that the quote we give you is going to be very close to the price you actually pay on moving day. How's that for piece of mind on your long distance move from Fort Worth to Coeur d'Alene? In addition, and something we have been repeatedly thanked for is the fact that we provide individualized, one on one service for each of our clients. You are not a number. You a very important client to us. Finding a reliable and trustworthy moving company can be challenging enough. Defaulting to a large, big name mover is not the security it may seem to be. Don't trust that the brokered company picking up or delivery your items is top notch or even honest. Many times, they are not. With Lake CDA Movers, you know who has your move from start to finish. 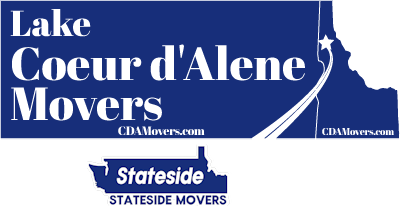 We move people to and from Coeur d'Alene and across the country, as well as a lot of local moving in and around Coeur d'Alene. You can know that we are committed to your satisfaction and that our reputation alone is on the line. We receive business from referrals and our 5 star reviews and these continue to be critical to our success. We want the very best for our customers and we seek to provide five star service everyday. Lake Coeur d'Alene Movers is a responsibly run and experienced moving company. Our crews of committed and able movers are always at the ready to provide the reliable and consistent service our clients expect. The safety and security of your home during the loading, transport and delivery is imperative. 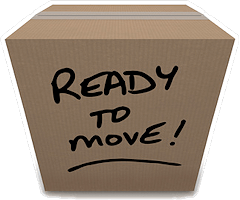 We are here to provide you with the personalized move you are looking for.